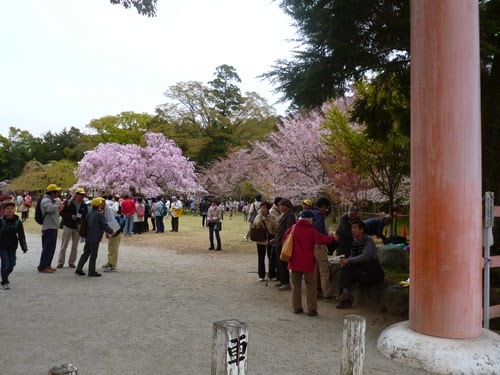 Last, I want to tell you about this shrine (where spring poetry party was held) in Kyoto. 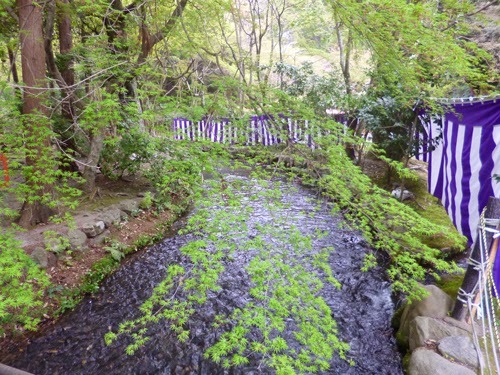 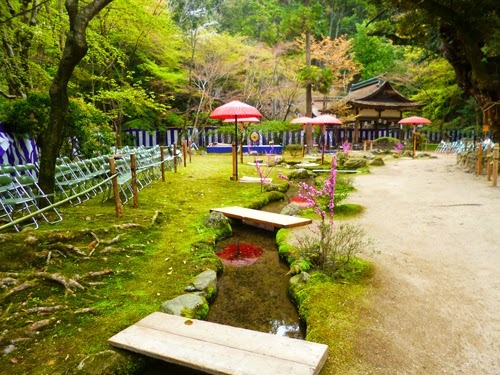 Kamigamo Shrine was coustructed about 1340 years ago. 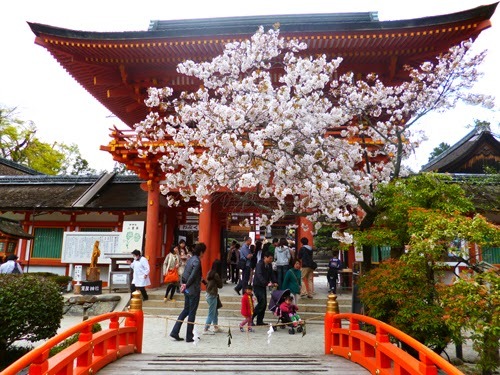 This shrine was designated a UNESCO World Heritage in 1994.
so this shrine is famous for bringing us the benefit of keeping off every trouble or evil spirits. 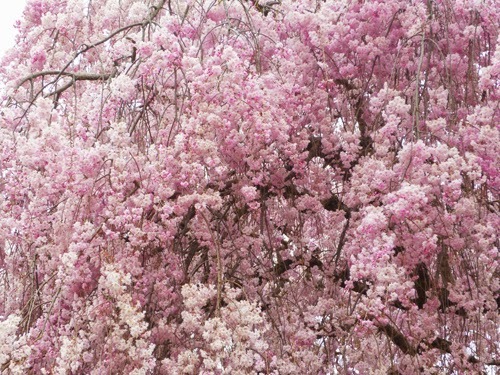 I'm happy if you enjoy these pics below. 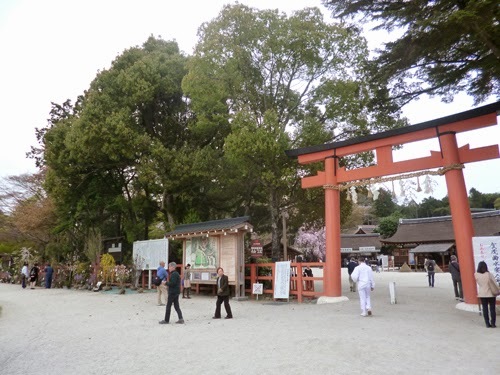 The entrance of Kamigamo Shrine. 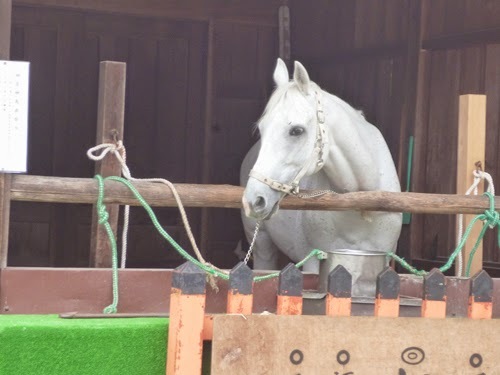 This shrine keeps white horse. 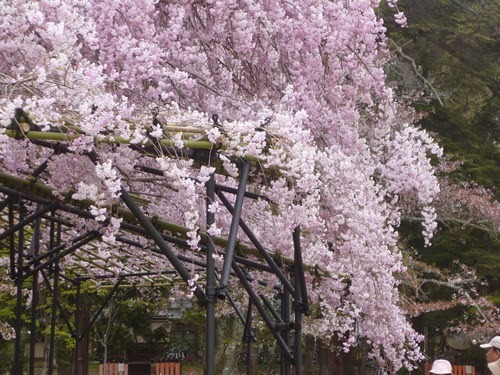 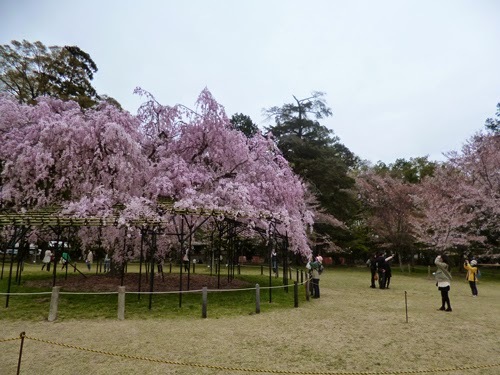 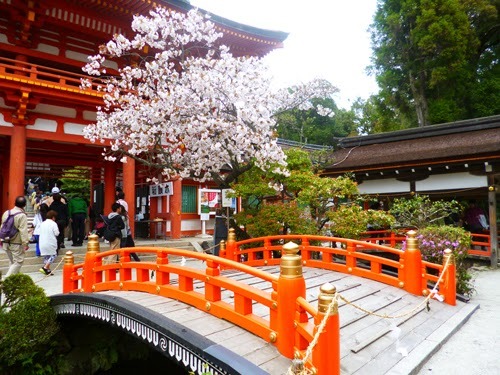 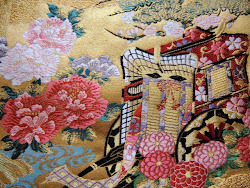 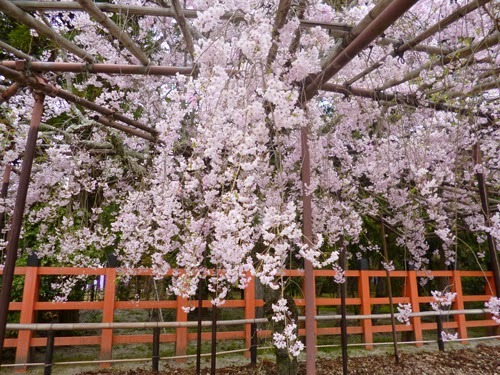 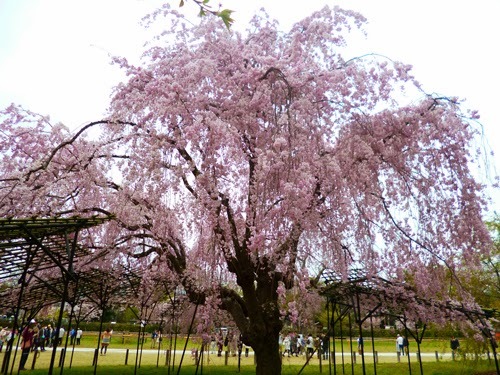 There are many cherry trees in the wide ground of this shrine. 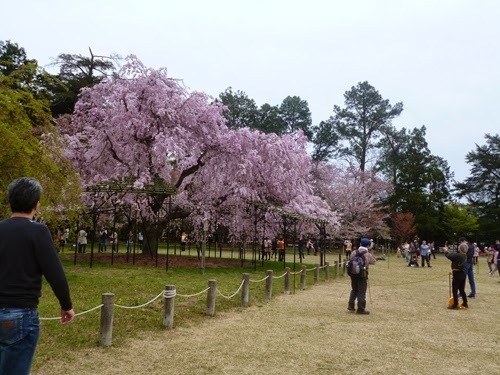 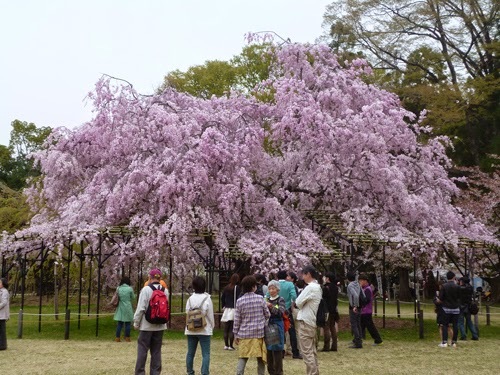 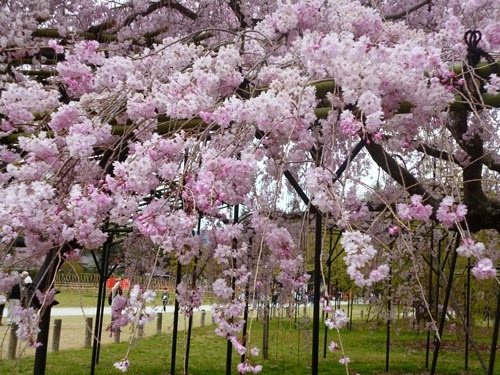 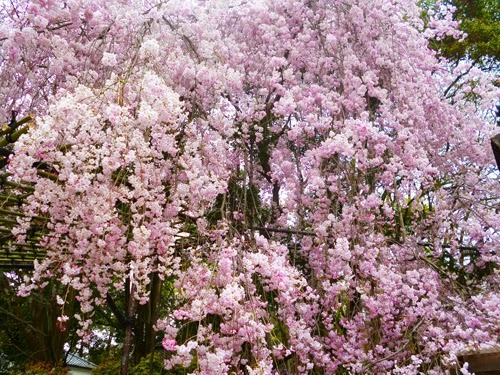 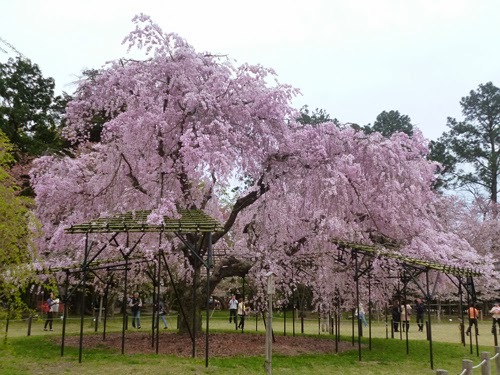 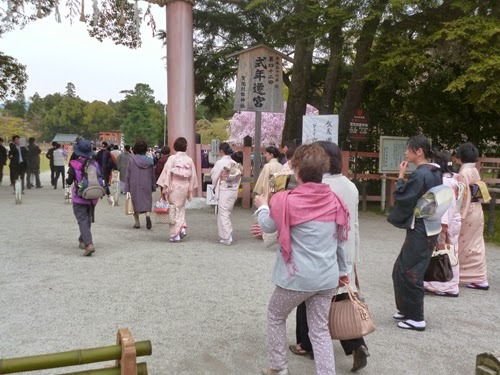 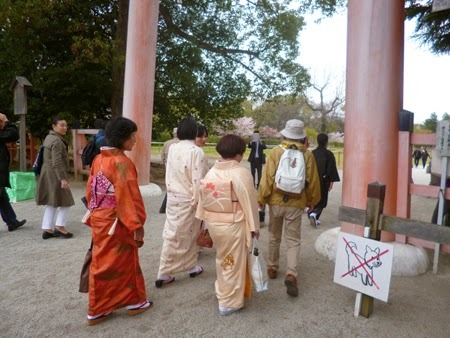 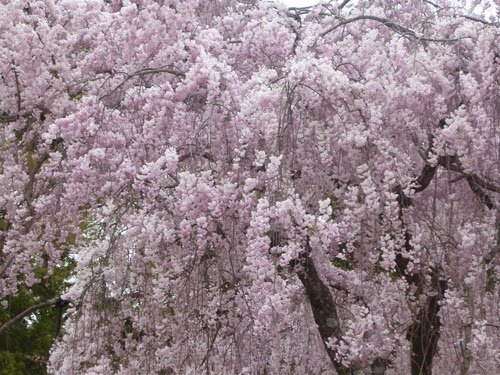 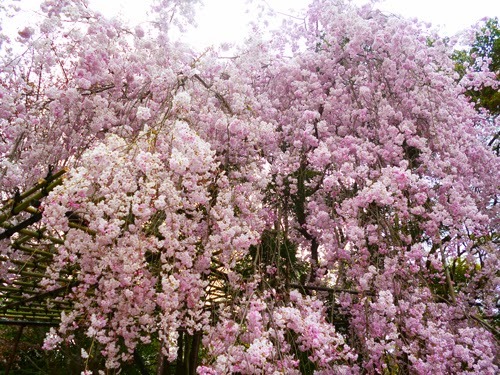 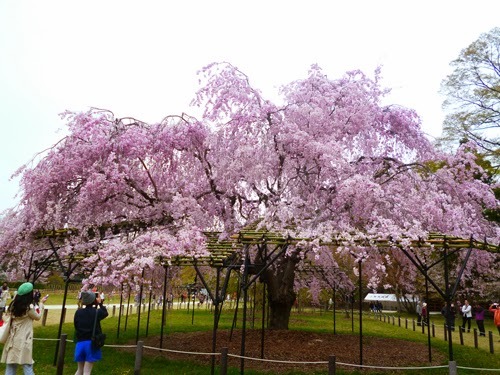 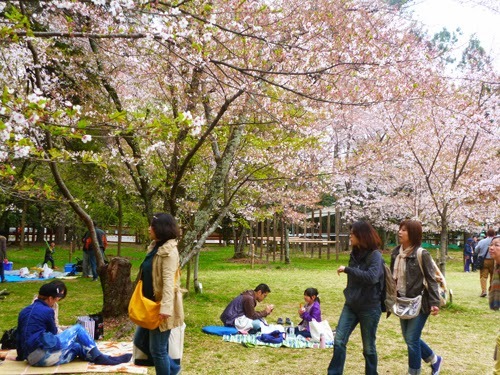 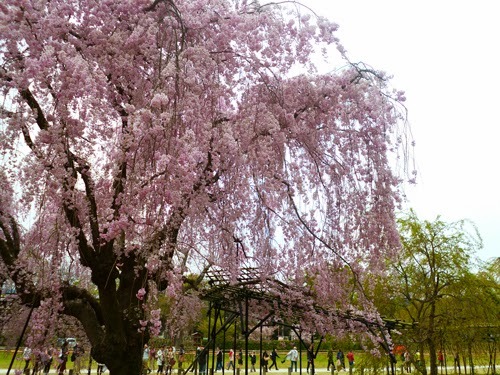 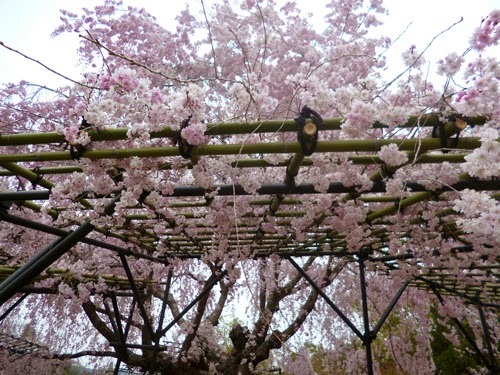 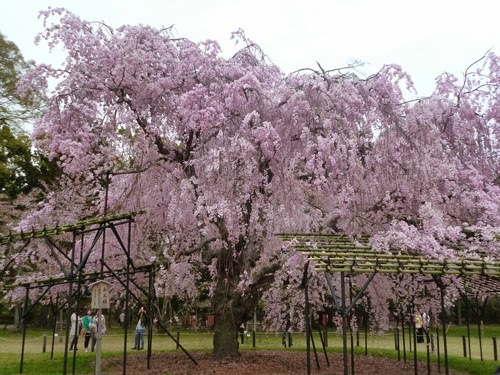 There were many visitors,many of them came to see cherry blossoms. 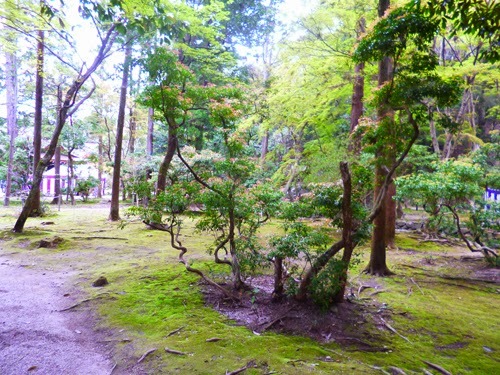 This is the garden where poetry party was held. 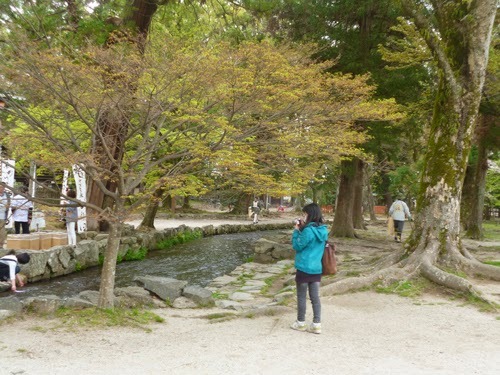 Usually this garden is not shown to the public.Today luckily we could manage to see it. 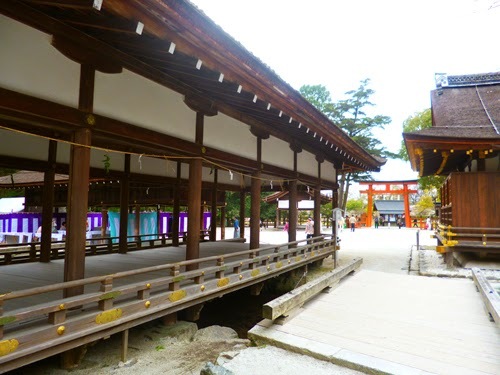 This is the main shrine building. 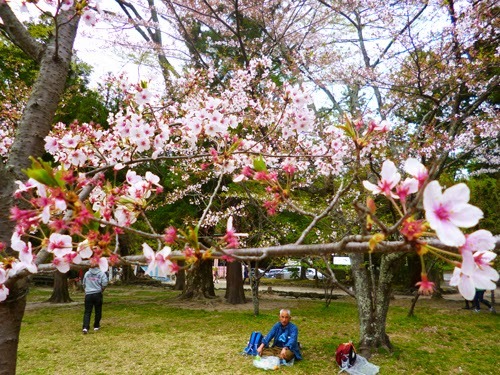 Everyone seemed to enjoy beautiful cherry trees.Some of them enjoy picnic under the full-blown trees.